In 1500 fewer than three million people spoke English; today English speakers number at least a billion worldwide. This book asks how and why a small island people became the nucleus of an empire 'on which the sun never set'. David Rollison argues that the 'English explosion' was the outcome of a long social revolution with roots deep in the medieval past. A succession of crises from the Norman Conquest to the English Revolution were causal links and chains of collective memory in a unique, vernacular, populist movement. 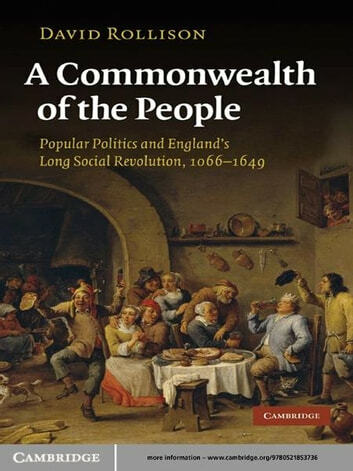 The keyword of this long revolution, 'commonwealth', has been largely invisible in traditional constitutional history. 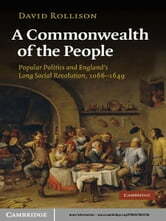 This panoramic synthesis of political, intellectual, social, cultural, religious, economic, literary and linguistic movements offers a 'new constitutional history' in which state institutions and power elites were subordinate and answerable to a greater community that the early modern English called 'commonwealth' and we call 'society'.